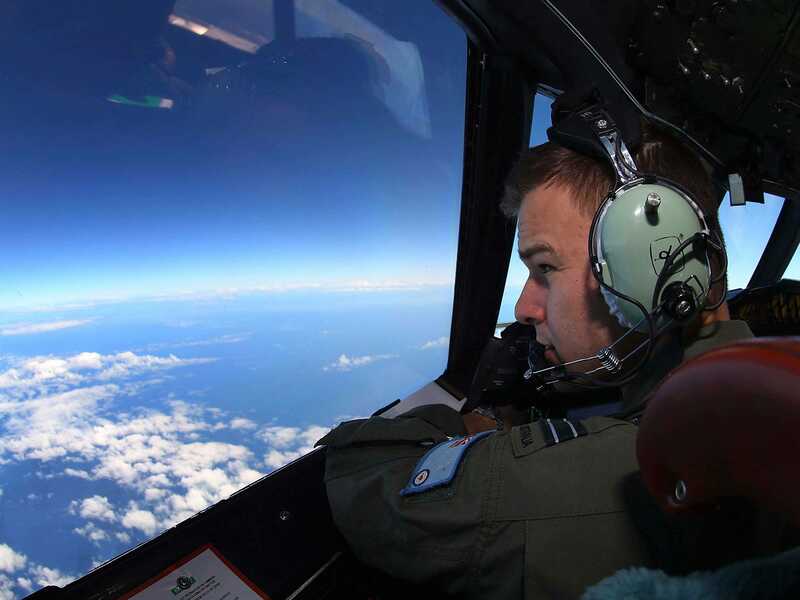 REUTERS/Paul Kane/PoolFlight Lieutenant Russell Adams looks out from the cockpit of a Royal Australian Air Force plane while searching for the missing Malaysian plane over the Indian Ocean. Dr. Goong Chen, whose research on this theory was published in the American Mathematical Society’s journal, argues that the plane could have nosedived into the Indian Ocean at a 90-degree angle and remained somewhat intact as it sank to the bottom. At 1:30 a.m. on March 8, the plane carrying 239 people dropped off air-traffic-control screens, less than an hour into a flight from Kuala Lumpur to Beijing. 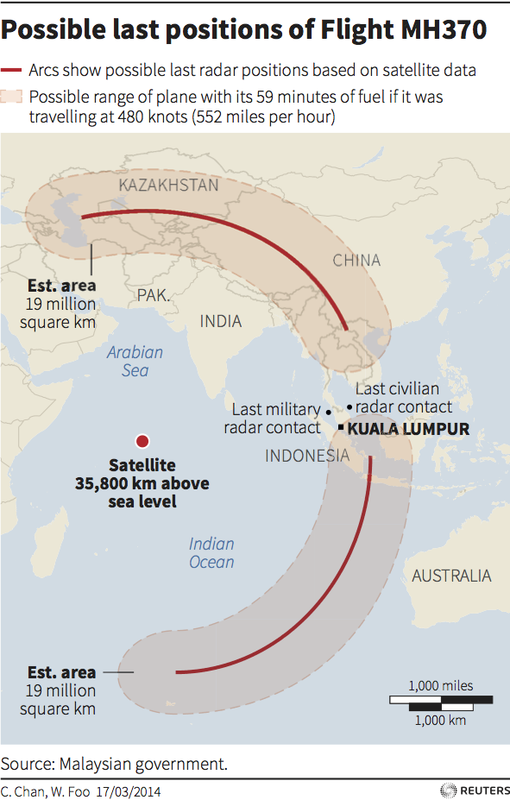 One of the biggest mysteries surrounding Flight MH370 is the fact that, despite experts tracking the plane’s satellite pings to the southern Indian Ocean, searchers have never found a debris field or oil slicks from the supposed crash. Chen explains that if the plane were to enter the ocean at another angle, it would have created a large “bending moment” from the external force of hitting the water, causing the fuselage to break up. In this type of situation, there would likely be a field of floating debris on the surface of the water. But a vertical entry would be much smoother, with a smaller “bending moment.” The plane’s wings would have likely broken off immediately, but since they’re heavy, they probably would have sunk to the bottom of the ocean. 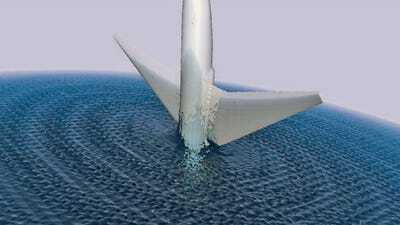 So if the plane nosedived into the ocean, it could have sank somewhat intact and landed belly-up on the ocean floor, according to the research paper. The ocean’s current would have guided the plane to its resting place at the bottom. 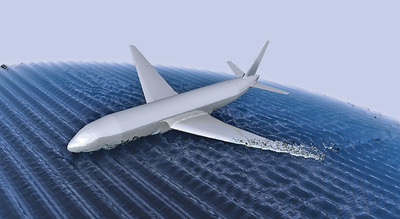 Lightweight debris like seat cushions and passenger belongings probably wouldn’t be able to float to the ocean’s surface if the plane’s body sank intact. The plane stalling from a steep climb, aircraft mechanisms malfunctioning, and the plane running out of fuel could have caused MH370 to plunge into the ocean at a sharp angle, according to the research paper. The plane entering the water at this angle wouldn’t have created the same large waves as an entry at a lesser angle. Big waves would have likely caused more break-up of the plane at the surface. 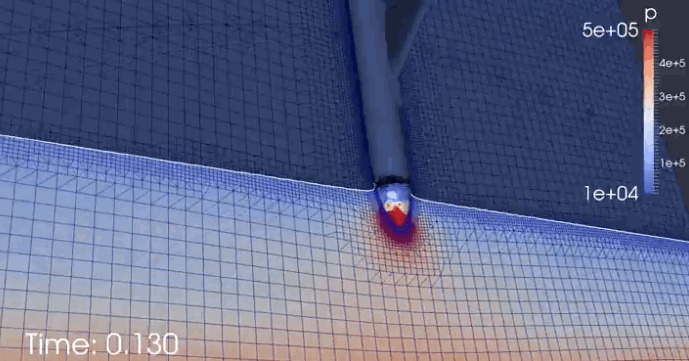 In other scenarios Chen and his team looked at, the plane’s angle of entry would have created bigger waves and more pressure, which likely would have caused the plane to break up more near the water’s surface. Texas A&M University at Qatar / Notices of the American Mathematical SocietyIllustration showing a diving water entry. Texas A&M University at Qatar / Notices of the American Mathematical SocietyIllustration showing a rolling water entry. 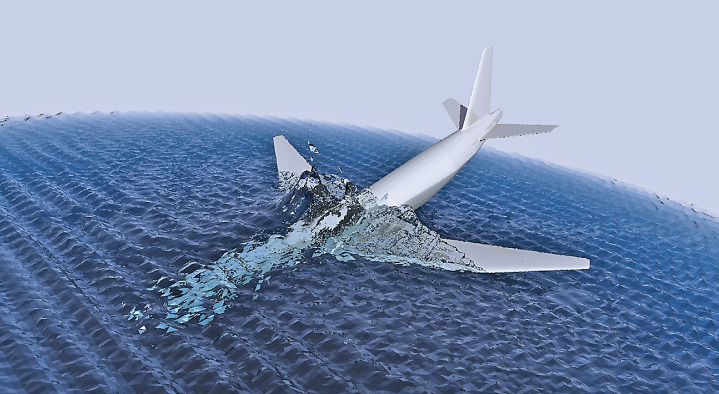 Chen and his team concluded that based on the various scenarios they mathematically examined, a nosedive is the mostly likely explanation of what happened to the plane. If the plane had entered the ocean at a different angle, the paper notes, search crews would have likely found debris by now. “This particular assertion is speculative but forensic,” the paper concludes. 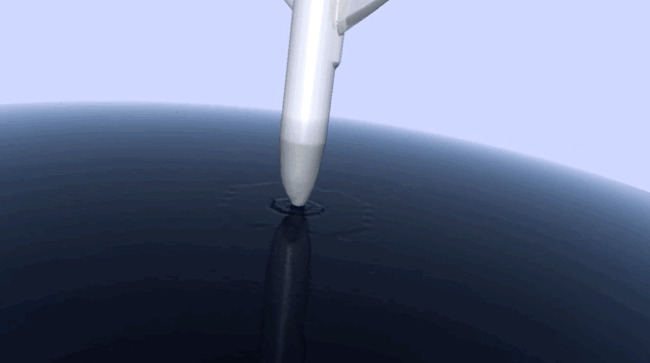 The team noted that they based this theory on computed data, aviation precedents, and atmospheric and ocean surface conditions. The disappearance of MH 370 is one of the most bizarre and tragic aviation mysteries of all time. Investigators have not offered any conclusive explanation as to what happened to the plane after it disappeared from radar. Australian officials announced last month that teams are expanding the MH370 search area in the Indian Ocean. They said that if the plane isn’t found there, they’re not sure where else to look.